These are the cookies we made for cookie exchange. I think the cookies were better first time around when we didn’t use the cookie press. They tasted more chocolaty and more yummy :)! In another bowl combine white sugar and brown sugar, stir good. Add the eggs, one by one, then add vanilla extract, beat the mixture until fluffy. Mix in the salt and baking powder. 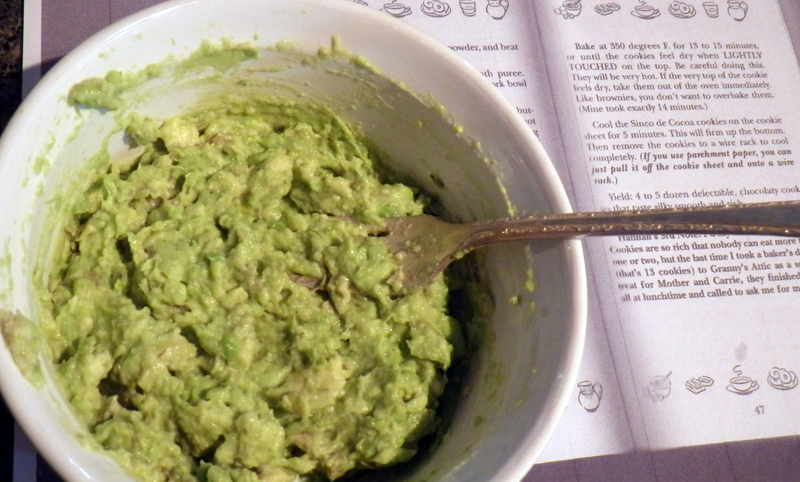 Then add mashed avocado puree. Mix well. Feel the outside of the bowl containing butter and chocolate mixture, if it’s not so hot that it might cook the eggs, add it to the mixture and beat until everything is thoroughly incorporated. Add the flour, 1/2 cup at the time, mixing after each addition till it’s well blended. Stir in the chocolate chips by hand. 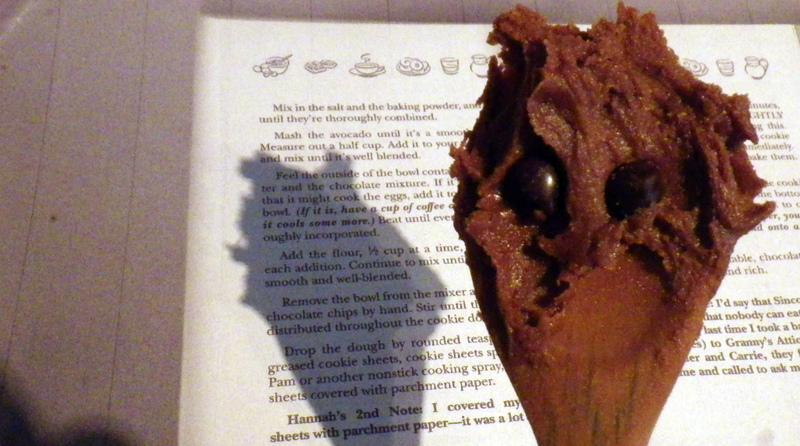 Or when you use a cookie press, add the chocolate chips on top of the cookies when they’re done! We don’t recommend using a cookie press. The thicker they are, the better they will taste! 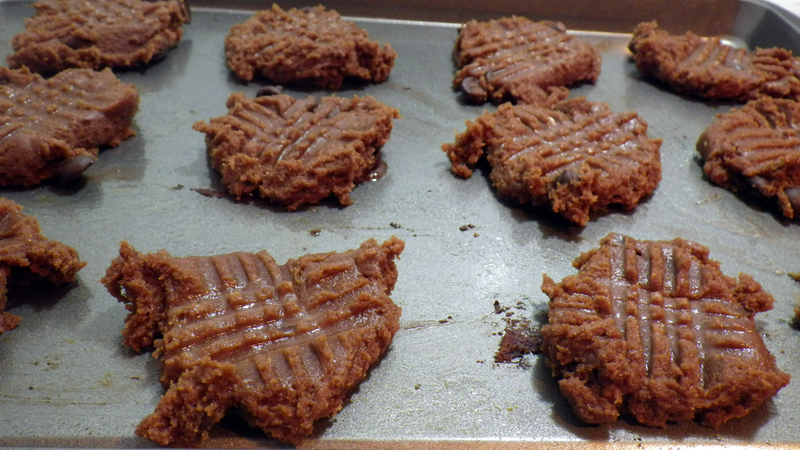 Using either cookie press or teaspoon, drop the dough onto greased cookie sheet. Bake at 350 F degrees (preheated) for 13-15 minutes. Our cookie press cookies were ready in 10 minutes! Advice: If you love sweets, use sweetened chocolate and add the chocolate chips into the dough. If you don’t have a sweet tooth then use unsweetened chocolate and add the chocolate chips on top of the cookie then they’re not as sweet!